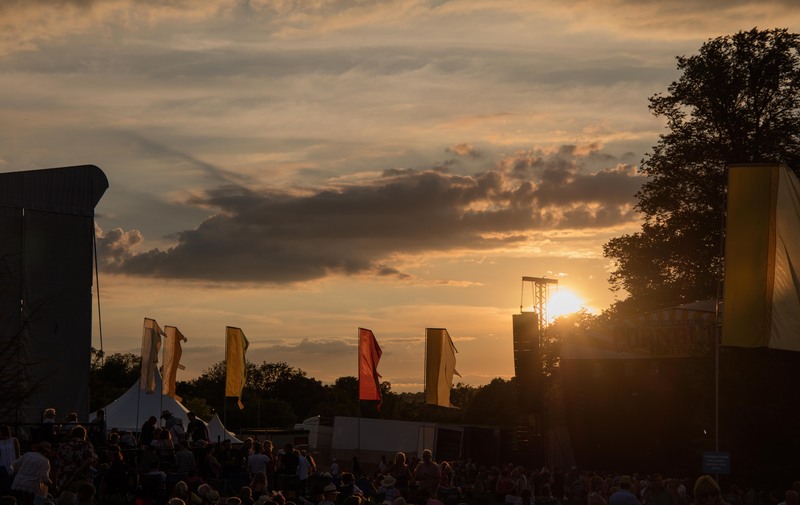 The sun was setting on the Cornbury Festival last weekend for the last time because low numbers of people attending in previous years left the organiser seriously financially embarrassed. However, it may not be the end as rumours were circulating that it might reappear in a couple of years in a different venue. We were attending it this year as rugby in New Zealand won over Glastonbury and my friend suggested this as an alternative. 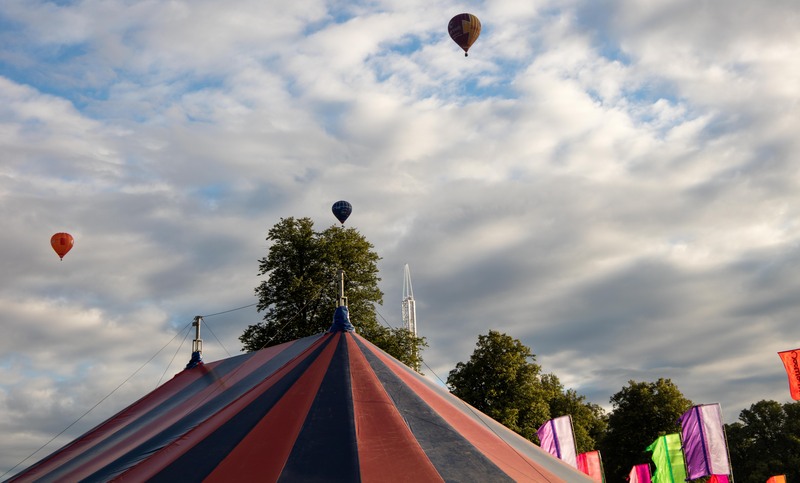 The estate is not an ideal festival venue as it has numerous very large trees, one of which obscures the view of the main stage from one side of the audience area and there are no screens. 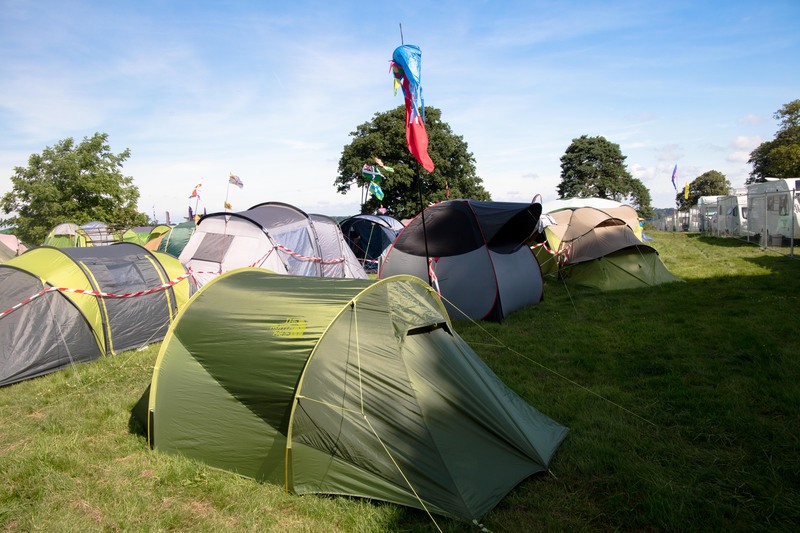 It is however a small festival, other trees provide some shade in hot weather and it is easy to get around everything and move between stages. We arrived about an hour before the campsite opened so could park near it and find a good site for our tents. After having our very civilised camping dinner of duck à l’orange cooked by my friend with aperitifs and wine followed by dessert we wandered off to the campsite stage to hear the Overtures, a tribute band who took us back to the 1960s for the rest of the evening. On Friday we explored the venue, relaxed in the hammocks before it got too busy (I managed to fall out and acquire some bruises) and sampled some of the music on that day. Here is Kansas Smitty’s House Band: a jazz ensemble. That evening, my view of the Kaiser Chiefs was blocked by the afore-mentioned tree and also my view of Midge Ure the following day. The festival describes itself as a very English one and certainly over 90% of those attending were white, affluent, southern English. I did spot one saltire, one Welsh and one Swedish flag in the campsite and met some Liverpool FC supporters at one point but most of the voices I heard were southern English. There were ‘posh loos’ that you had to pay to use. There would not be any chanting of ‘Jeremy Corbin’ here. One of our friends thought they spotted Michael Gove but this was not confirmed and David Cameron has attended the festival in previous years. The friends also said that they tried to get into the Cafe Nero stage at one point but were prevented from going in as it was already full (before the arena was open) by people they presumed were VIPs. In addition to music, there was comedy (the best of which was Nish Kumar), activities for children, shopping and of course people-watching. There was an airfield not far away so we saw several small planes fly overhead and it was Bristol balloon festival on the same weekend so a number of hot air balloons also flew over us. 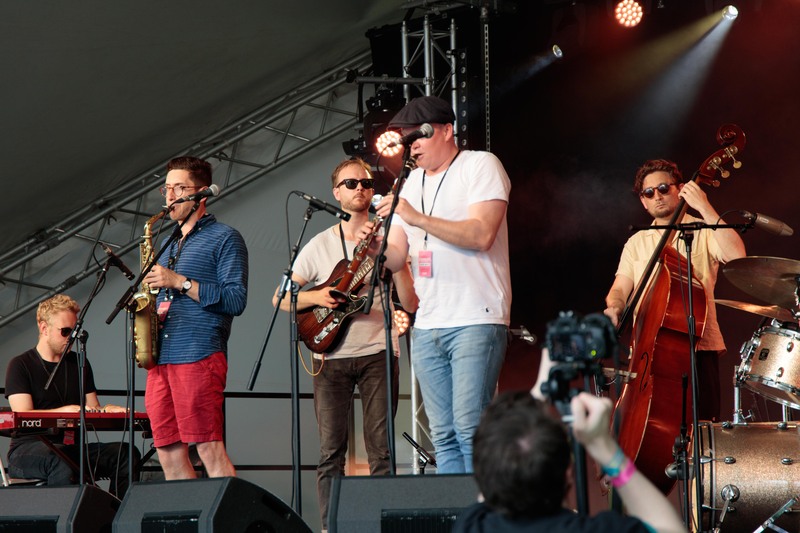 The weather was fabulous and we enjoyed a good variety of music before heading back home, wondering which festival to attend next year as Glastonbury is having a fallow year. Wow – “fabulous” – you weren’t kidding! Duck à l’orange for a camp-out dinner is certainly not shabby. I’m so glad it was a great event! We love doing posh camping and we did not use the ‘posh loos’ but clearly some people did.